A couple months ago, a coworker of mine brought in a Chantilly Cupcake from Whole Foods. Somehow, I have never seen these amazing creations while browsing Whole Foods, but I sure noticed it at the office. My coworker was kind enough to share some with me and oooooh my — amazing is not an adequate enough word. The cake was light and moist and delicious, but what really sold me on the Chantilly cupcake was the mascarpone whipped cream frosting. It’s buttery and creamy and sweet and will cure all of your life’s problems. 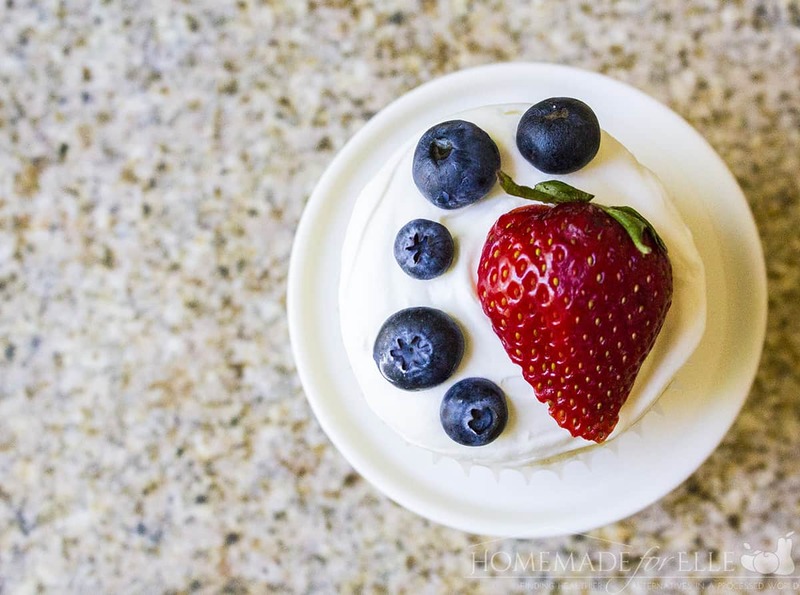 So, I did what I do anytime I discover life-changing food, and figured out how to re-create the Chantilly cupcake in my own kitchen. And then took a thousand pictures of it, because that is also what I do. 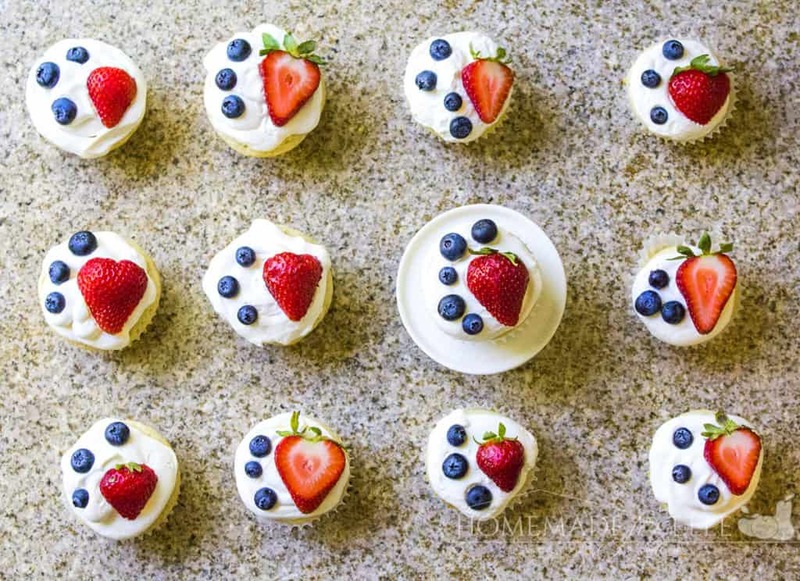 These homemade Chantilly cupcakes are just as amazing as the ones from Whole Foods, IMO. And they’re absolutely gorgeous. 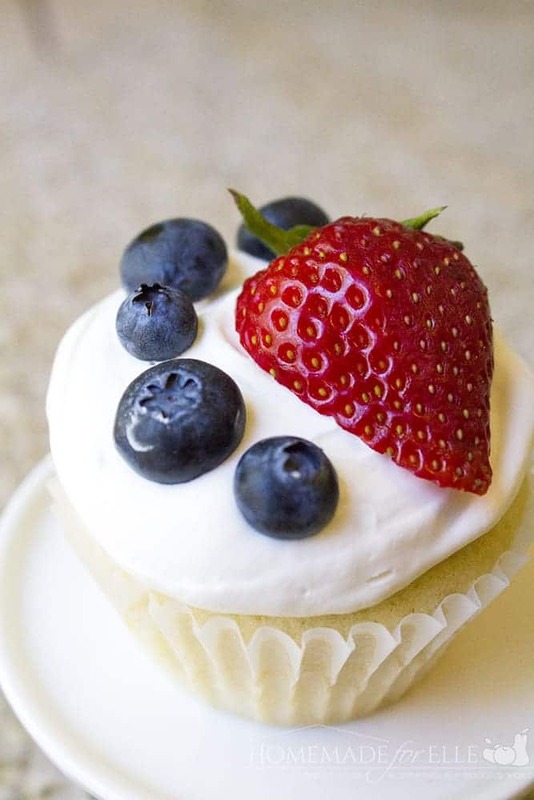 And they keep in the fridge for a week, which means you can indulge in Homemade Chantilly Cupcakes. Every parent deserves to have a batch of these in their fridge. And, if you needed more convincing, remember that berries have antioxidants. So, really, you’re doing your body a favor by eating these, right? In a large bowl, stir together flour, sugar, baking powder and salt. Add butter, eggs, milk and vanilla extract and beat until mixed well. Transfer batter into lined muffin cups, leaving 1/2" of space to the top. Bake in preheated oven for 16 - 20 minutes, until an inserted toothpick comes out clean. 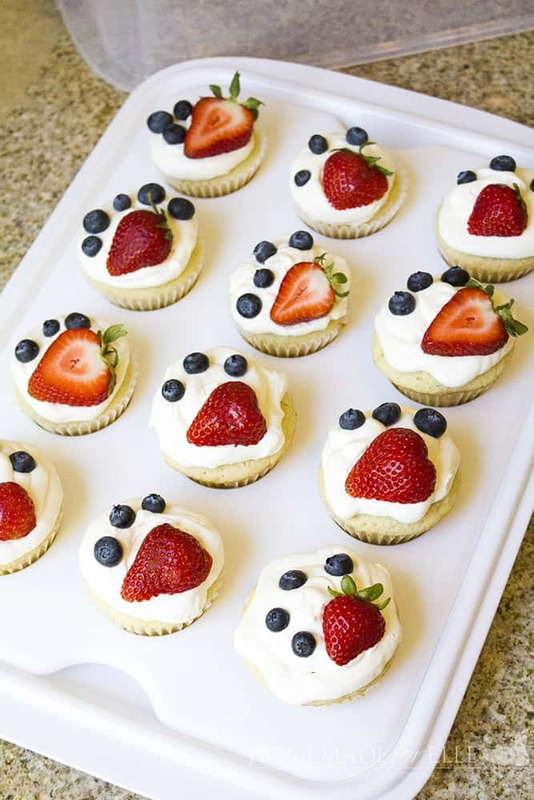 Allow to cool, and top with mascarpone cream frosting, and top with sliced strawberries and blueberries. In a large bowl, add mascarpone cheese, heavy whipping cream, sugar and vanilla extract, and beat until frosting thickens up and stiff peaks form. I ended up baking 24 homemade Chantilly cupcakes, and because I was grateful to my coworker for sharing these treasures with me, I brought a dozen into work with me the next day. I received a lot of compliments with how beautiful (and tasty!) they were! I hope you enjoy these Homemade Chantilly Cupcakes as much as I did!! They look so yummy! I love the option of being able to make these at home as i now live three hours from the nearest Whole Foods! Thank you!